Behind every beautiful photograph that you see in the magazines, or in wedding albums or of celebrities, you can see the hidden work of talented makeup artists. The ability to transform the physical features with the subtle use of makeup is a skill that is mastered by professional makeup artists. 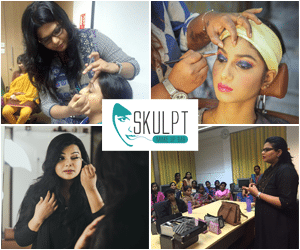 Becoming the best makeup artist in Chennai involves a lot more than knowing how to handle a makeup brush. Several institutes offer courses to help you master the secrets to applying makeup perfectly. These artists are available for helping you look glamorous on special occasions like wedding, events like red carpet events, corporate events, dance and so on. 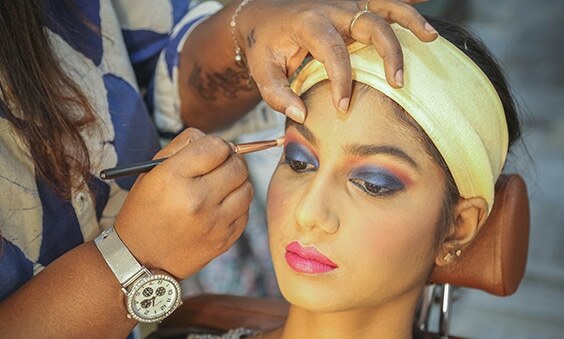 These professional makeup artists create a more dramatic look to ensure that you stand out of the crowd and look dazzling till the very last minute. Interestingly, some makeup artists also excel in making corpses look good for their funerals. These makeup artists are trained to apply makeup to make people ready for photography and official events. They also do a good job of preparing models before they walk down the ramp. Experienced fashion makeup artists are in high demand in the fashion industry and are often payed big bucks. Applying makeup for appearing on TV or in Films or in plays require a lot of experience. The makeup must have a smooth appearance and be able to survive under the harsh lightings. Sometimes makeup artists also use their skills to transform their clients into different personalities for sci-fi or fantasy movies like Avatar, X –men and so on. 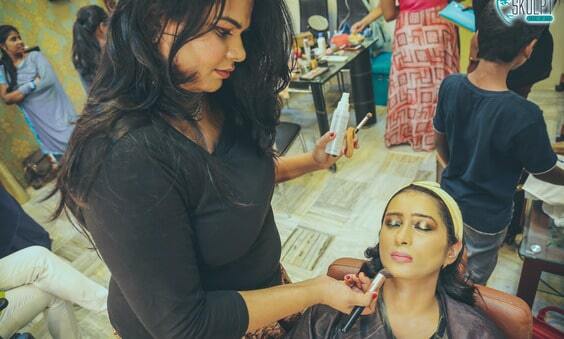 Makeup plays a crucial role in making the actors believable in their chosen roles. In fact, awards are also given out every year to honor the best makeup artist in the performing arts field. Celebrities are in the limelight 24/7 these days since the introduction of camera phones. They risk having a photo taken the moment they step out of their homes till they come back. This has led to pressure to look camera perfect always. Personal care makeup artists are often hired by celebrities to help them get ready for special events as well as make sure they look good in their daily lives. These makeup artists find employment at plastic surgery clinics and hospitals to help patients look as normal as possible. People who have undergone scarring due to some accident or after effects of chemotherapy and even due to birth marks find a lot of help in using makeup to cover up their scars and look as normal as possible.